After months of rumors, it seems the Nintendo Switch port of Diablo III has finally been confirmed. Well, sort of. Forbes accidentally let a pre-written announcement post to go live early – they quickly took the story down, but, of course, eagle-eyed fans managed to grab screenshots. Unless this turns out to be an elaborate hoax, the Switch version of Diablo III, subtitled the “Eternal Collection,” will include all game’s DLC, including Reaper of Souls and Rise of the Necromancer, and every major update released to date. The package will also include a handful of Switch-exclusive Zelda-themed goodies, including a Ganondorf armor set, which you can equip to various classes, a Tri-Force portrait frame, a cucco pet, and Echoes of the Mask cosmetic wings. 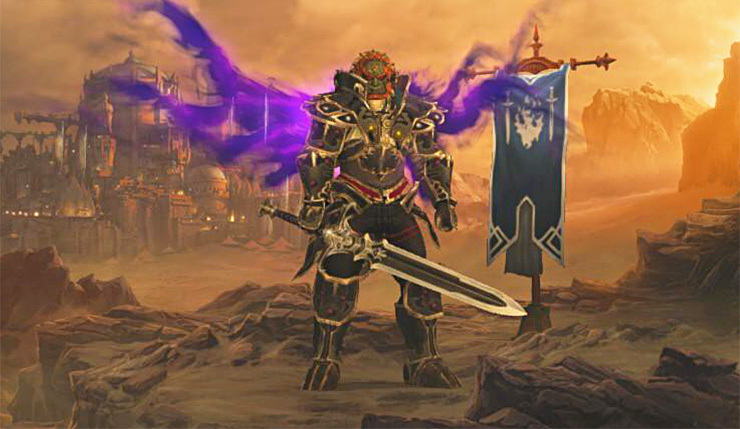 Here’s a look at the Ganondorf armor set (equipped to a Barbarian). As you would expect, this version of Diablo III will include a variety of play options, including 4 local players on a single Switch, 4 players on separate Switches via wireless play, and online play with a Nintendo Switch Online subscription. Diablo III will also be one of the first Switch games to support cloud saves. No word yet on what we can expect from Diablo III Eternal Collection in terms of resolution and framerate, but it seems like Blizzard (or whoever they’ve passed development along to) are putting a fair amount of effort into this port. Hopefully they manage to squeeze 1080p and 60fps out of Nintendo’s slim hardware. So, who’s excited for Diablo III Eternal Collection? 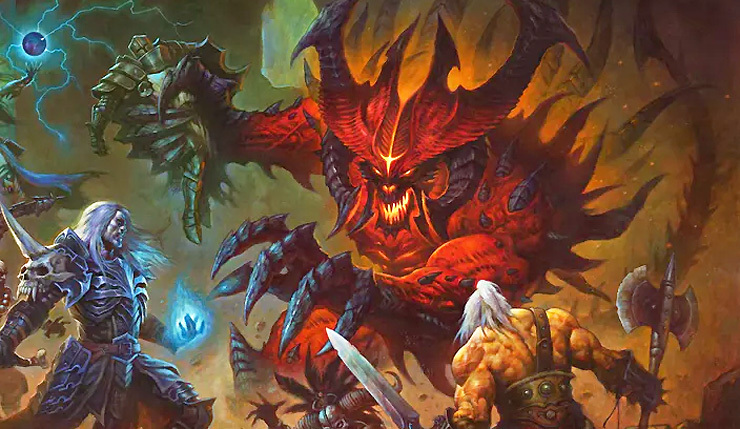 Sure, the game’s over six years old at this point, but Diablo III ought to be great on the go. Even if you aren’t into Diablo, this port is significant – this is the first Blizzard game to come out on a Nintendo platform in 15 years, and if it succeeds, I could see more following. Diablo III Eternal Collection hacks its way onto Nintendo Switch sometime this year. The game will cost $60.